Forty-five states and the District of Columbia levy a statewide sales tax. State rates vary widely among states, from 2.9 percent in Colorado to 7.25 percent in California. This does not take into account the local sales tax rates that are levied in thirty-eight states, which can significantly change the combined rate for consumers. 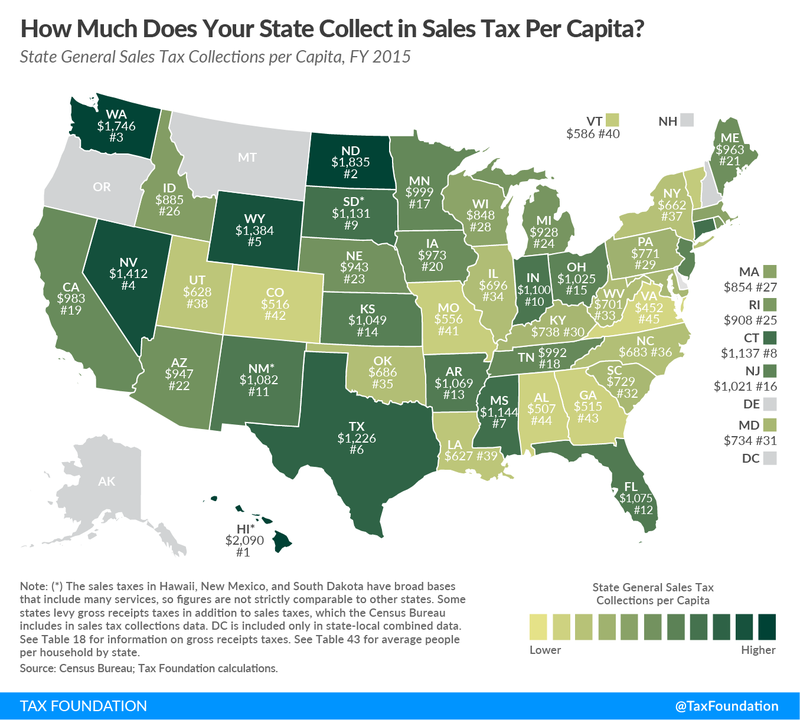 Hawaii and North Dakota collect the most in statewide sales tax per capita at $2,090 and $1,835 respectively, but both states’ sales tax base is extremely broad and includes many services, so they’re not strictly comparable to other states. Among the more comparable states, Washington state collects the most per capita ($1,746), followed by Nevada ($1,412). On the opposite end of the spectrum, Georgia ($515) and Alabama ($507) collect the least per capita. 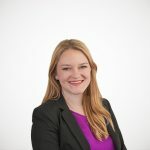 In most states, however, the sales tax is not as productive as it could be for two major reasons: the sales tax typically does not tax services and it typically exempts many final consumer goods that should be taxed. The exemption of services from the sales tax base is largely a historical accident, but has significant consequences today as the economy has transitioned from goods-based to service-based. Additionally, many states exempt certain goods (such as groceries or clothing) for political reasons, further narrowing the sales tax base. If states are willing to adjust their sales tax base, they could afford to lower the sales tax rate while generating the same amount of revenue.